Please note that the content of this book primarily consists of articles available from Wikipedia or other free sources online. 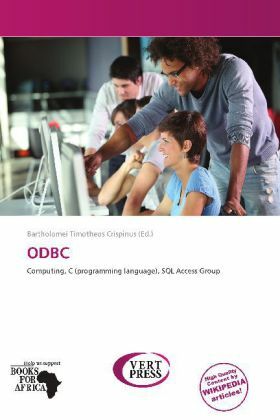 In computing, ODBC (Open Database Connectivity) is a standard C interface for accessing database management systems (DBMS). The designers of ODBC aimed to make it independent of database systems and operating systems. An application can use ODBC to query data from a DBMS, regardless of the operating system or DBMS it uses. ODBC accomplishes DBMS independence by using an ODBC driver as a translation layer between the application and the DBMS. The application uses ODBC functions, and the driver passes the query to the DBMS.